I am still on a quest to find my perfect mascara and the other day in Boots decided to give this Bourjois offering a whirl. 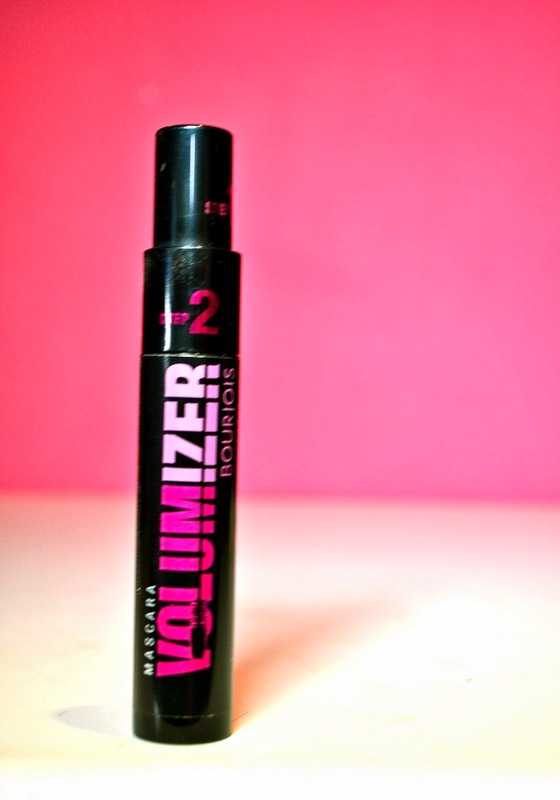 The Bourjois Volumizer mascara is not a new release however, it is one that I have never tried before. 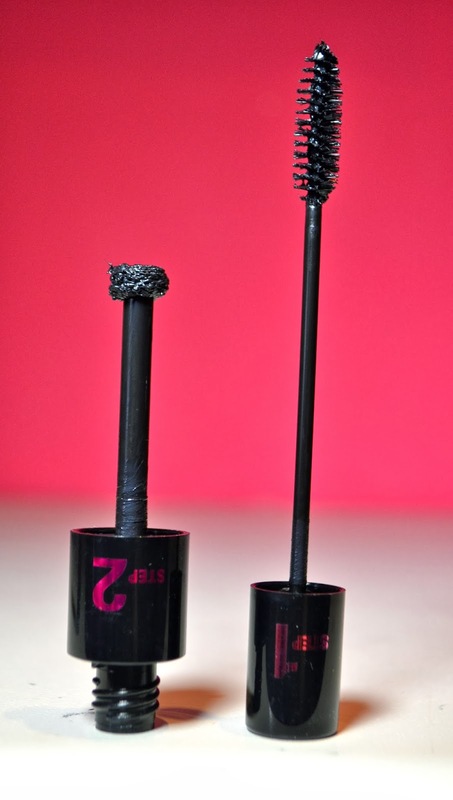 There are two steps to it depending on how defined and voluminous you wish your lashes to be. This is by far my favourite step. The brush gets pulled through a very small tube resulting in minimal product being left on the hairs. 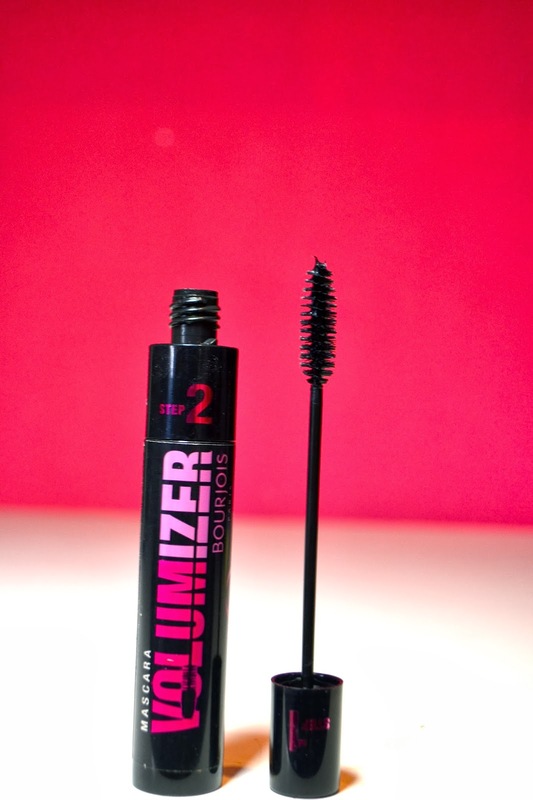 I find this separates and lengthens my lashes beautifully if I am going for an understated minimal makeup look. I also find it to be brilliant for the bottom lashes as there is very little chance of smudging - as I am one of the clumsiest people you will ever meet this is an extremely positive point for me! The only negative would be the pole or tube (I have no idea what you would call it) that the brush sits on, it is extremely long and thin which means you don't have much control. Being rather heavy handed I find this a bit daunting! The second stage has a much thicker brush which holds considerably more product. 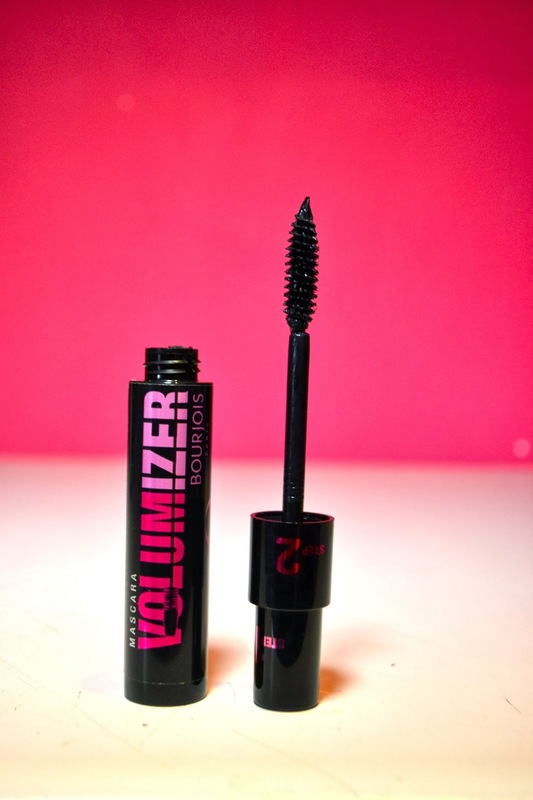 This really does give your lashes that wow factor and makes them exceptionally long and voluminous, like the name would suggest. However, I do find that this mascara clumps on me. I love how each of my lashes is so defined and separated after the first application but once I have gone in with this stage I find that they can look a bit gloopy, which is not the look I am after! I decided to dismantle the mascara so I could have a better idea of how to use it. As you can see the wand is the same (not sure really what I was expecting) the only difference between the two stages is how much product is allowed onto the brush. As you can see from the picture above if you pull the wand out of the second tube there is a lot of excess product which is removed. However on the second stage this is still on the brush which although gives you thick lashes does border on clumpy on occasion. To emphasis the difference further I shot a close up of the brush on each stage, showing the in order of application. This is a very mixed review as I am still unsure of my feelings completely. I like the first step for my no make up days but I think I will rarely use the second stage, which seems a shame. What would you pack for a weekend away?